Fifty million dollars for three weeks of your life in the hands of a total stranger. Would you do it? When Naomi Lee finds herself out of a job and out of the money she needs to pay her father’s medical bills, she receives an anonymous letter, containing an offer she can’t refuse. Max Marino, a wealthy businessman, wants her and he’ll pay any price. Three weeks of her time, no-holds-barred, in exchange for fifty million dollars. With no other means to pay her bills, Naomi has no choice but to accept. However, Naomi isn’t the only one who signs the contract. And Max isn’t alone in his deal. All competing for the ultimate prize … marriage. WARNING: Contains disturbing content some readers may find offensive. Includes scenes involving multiple men & women being dirty together. Every boundary is crossed. Read at your own risk. 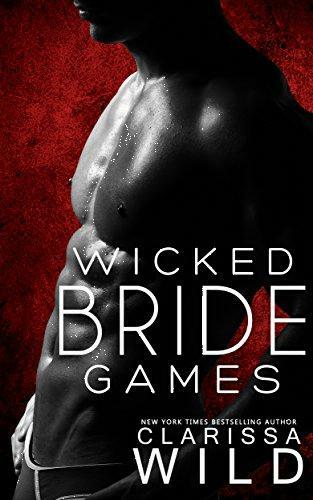 Wicked Bride Games is a new Dark Suspense in the Indecent Games Series by New York Times & USA Today Bestselling Author Clarissa Wild. ALL books can be read as a standalone!